Burger & Lobster is opening in Bangkok next! Riding on the wave of its recent opening in Genting Highlands, it looks like Burger & Lobster’s Asian invasion is set to continue. It is believed that Burger & Lobster will be opening in March on the ground floor of Gaysorn Plaza, but no official date has been announced yet. Much ado about Lobster Rolls. Life at The Big Apple revolved largely around the crustacean, and we stuffed ourselves silly with the endless lobster options. 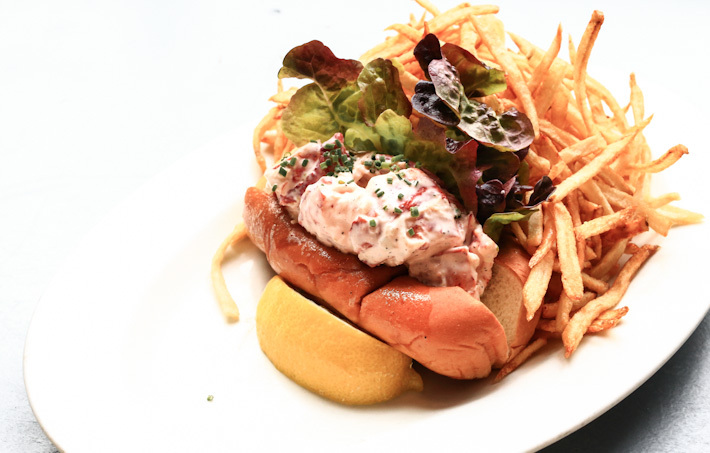 While the co-relation between New York City and lobsters is debatable, we would like to think no trip to NYC is complete without having a lobster roll or two. Or three. Or how about every day? So we did lots of research, asked for recommendations, and spent our weeks trying lobster rolls from every corner of Manhattan. Not quite sick of them yet, and instead, we wished we were residents of NYC so that we could party with lobster rolls more often. Where do you find New York City’s Best Lobster Rolls, and what are your favourites? Here’s our guide on 9 of the Best Lobster Rolls in New York City. Simply only magnificent, and nothing less indeed. 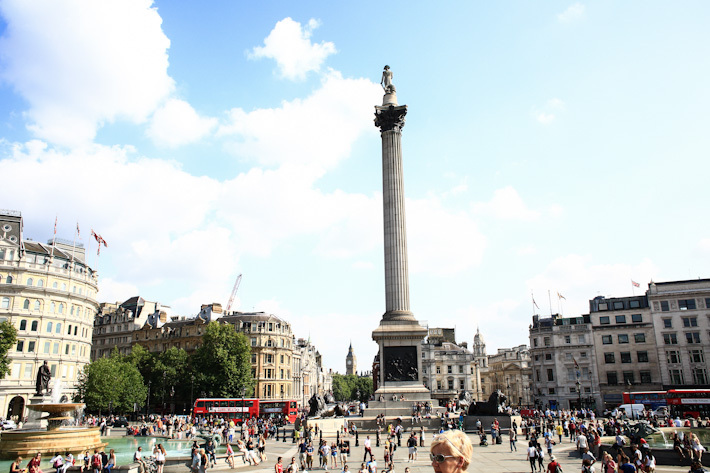 London is our favourite city in the world, and it is a favourite for many too. It is not difficult to understand why, for the British city has so much to offer and is so very live-able. Wake up to amazement every day, live it up like the Brits, and go to bed each night thanking all your lucky stars that you are in London. Here are 35 reasons to love London, and it is but the tip of the ice berg. You have to set foot in that part of the world to understand why it is home for so many. Not the most pleasant word in the dictionary, but a dinner at Beast King Crab & Steak Restaurant is surely one of the most memorable dinners we’ve had at London. Fans of the ever-popular Burger & Lobster would know that Beast Restaurant is the other brainchild of the same owner, and it is a five-month-old joint that is the talk of the town. It is similar, yet very different. Beast Restaurant is a posh outlet in Marylebone, and it is a stunning underground restaurant for diners of the after-dark. Longitudinal log tables and seats fill the indoor sitting area, together with endless candles to light up the restaurant. It felt like we stepped right in to a scene from Phantom of The Opera – the regal British atmosphere is second to none. The open kitchen makes the place less intimidating and we had fun exchanging banters with the chefs. The team of wait staff stands all around the space, ever ready to serve. Be seated, have a drink, and the staff will brief you about how Beast Restaurant works. There is no menu. At £75 per person, you are in for a feast that is fit for even the biggest beast. Like many other things in London that will shock you with its price tag, this dinner is an indulgence, one that only those with a raw love for premium steak and Norwegian red king crab will covet. If you are willing to splurge, Beast Restaurant will promise you a theatrical and gastronomical experience. The dining scene in London is very vibrant and there are so many good restaurants that it is almost impossible to keep up, even if you are living in the city. 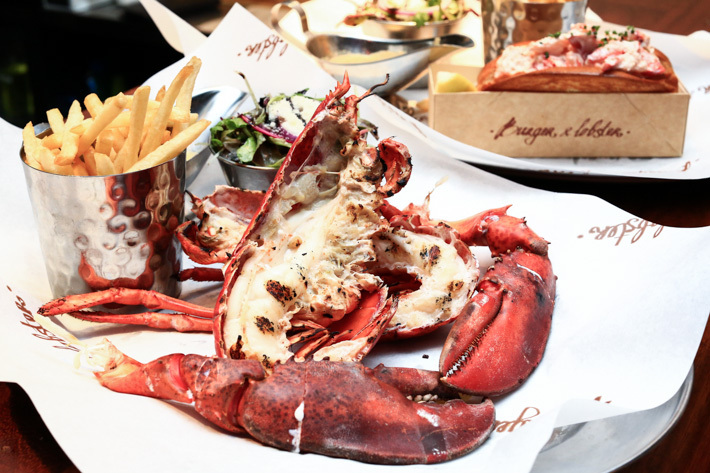 When I was doing my research for eating spots prior to the trip, one of the restaurants that kept popping out was Burger & Lobster – there are so many raved reviews about them online. Of course, the question is: is the restaurant worth the hype? The answer is a big and undisputed YES. 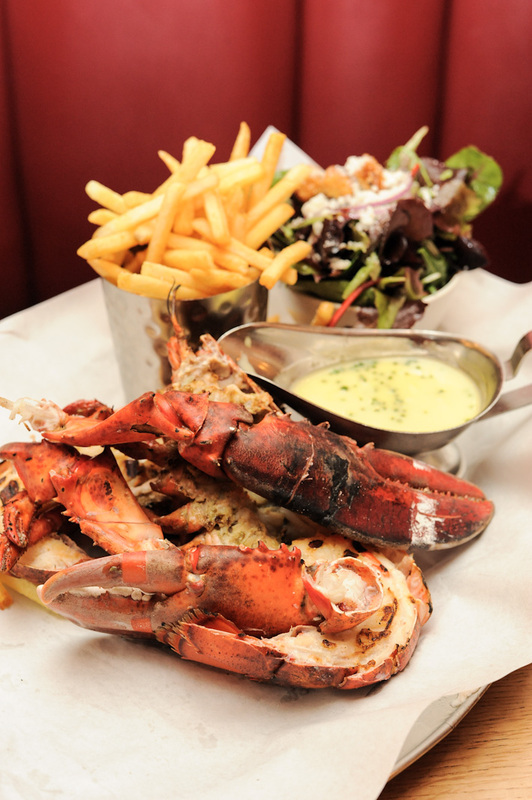 One of the most memorable meals that I had during my trip was at Burger & Lobster.